There are good ways to incorporate loot boxes into a game, but unfortunately, more games take lessons from Valve in an effort to make more money. The core idea behind loot boxes is a good one, and it is the same for the majority of games. You get random drops that you open to get additional cosmetics or customization options. When it is used properly, it is honestly pretty great. It allows players to support devs and customize their avatars to make themselves unique. Having an orange AK or cool hubcaps on your car doesn’t make you play any differently or give you any form of gameplay advantage at all. It just makes you look cool, a sort of digital bragging rights to show how dedicated you are to a game in exchange for a few bucks, giving making your avatar unique, and showing it off to everyone else. Across the board, most games have effectively the same loot in their boxes. Meaningless skins and cosmetic items that do nothing to affect the game. Overwatch does a much better at incorporating these mechanics, where you can spend the money on the boxes themselves or earn them without paying, but once you had a box you didn’t have to pay any extra to unlock them, and you what you got out of the box didn’t affect the game. On the other side of the canyon are games like Call of Duty: Black Ops 3 or Infinite Warfare and Team Fortress 2, which lock better weapons inside of these crates, giving an advantage to players willing to spend the money on unlocking them. They also have different way of distributing the boxes to try to milk as much money out of you as possible. Team Fortress 2 was always giving you crates, but you had to pay real money to unlock them, and you always had more crates than keys. They wanted to entice you to pay as much money as possible to open crates, and by having so many different crates with different item sets, they make you have to open up multiple different crates in hopes of getting certain item sets. But you always have a few keys left over after a purchase, and it’s easy to buy a giant pack of keys and open up box after box to scratch that itch. There is a very negative attitude towards loot boxes and microtransactions in the gaming community, but I don’t think that these mechanics are necessarily a bad thing. I actually think that they can be a powerful tool to support a game and its developers in the long term, but unfortunately they are frequently misused. Giving the players options to support the devs can be a powerful tool. Look at Titanfall 2, which has so far released two free pieces of DLC, but allows players to buy camo and emblem packs for real money. It allows the devs to have a revenue stream to support the free content that they are putting out, and it keeps the players happy. Too many companies saw the successes Valve had with its Counter-Strike: Global Offensive loot crates, virtual slot machines that led to individual items costing thousands of dollars, turning content creators into conmen, and raking in hundreds of millions of dollars for Valve. Companies only saw this last point, not the unease players felt with what they saw as exploitative business practices. Modern Warfare Remastered just added three brand new weapons, nine years after the game first came out, and after promises from Raven to not have weapons included in the supply drops. Battlefield 4 locked weapon attachments inside of battlepacks, which you could slowly earn or pay real money for. 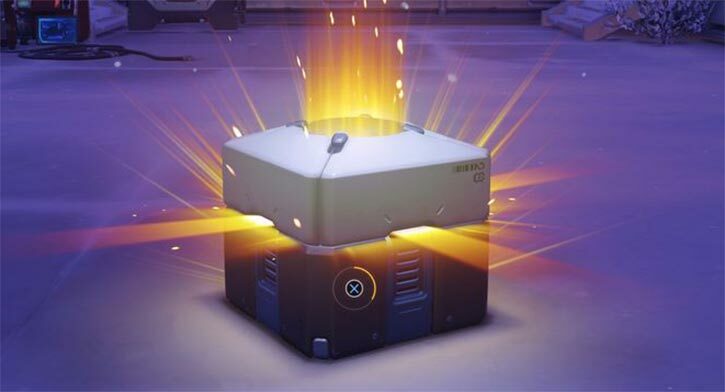 The reason loot boxes are continually included is because they do make money. Companies make games to make money, and as long as we continue to purchase their games and pay for these boxes, they won’t stop these practices. They have no reason to do “the right thing” if they can see that the decision to include this mechanic is profitable. To them, profits are a sign of satisfaction, and you can hardly blame them. Companies are incredibly wary of the vocal minority shifting the direction of a game over the preferences of the majority. So Youtube videos of loot box openings rack up millions of views, and the boxes themselves make the companies millions of dollars. It isn’t stopping, and it won’t stop by us asking them nicely. We have to vote with our wallets as consumers if we want this to change, and right now, we simply aren’t doing that.